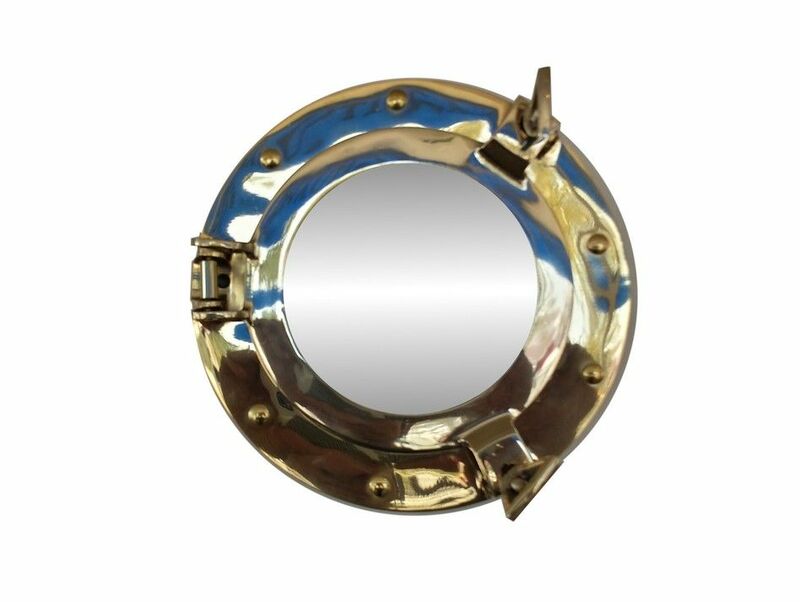 Brass Decorative Ship Porthole Mirror 8"
This Brass Deluxe Class Porthole Mirror 8" adds sophistication, style, and charm for those looking to enhance rooms with a nautical theme. This porthole mirror has a sturdy, heavy and authentic appearance, and is made of brass and glass which can easily be hung to grace any nautical theme wall. This all brass porthole mirror makes a fabulous style statement in any room with its classic round frame, six metal-like rivets and two dog ears. This marine porthole mirror has an 5" diameter and 3" deep when dog-ears are attached, 1.5" deep without dog ears attached. Portholes are an important part of a ship’s construction, allowing both air and light to pass into the inner areas below deck. 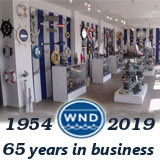 Through the use of a hinge and lock-down screws, crew members were able to open portholes in good weather, while still having the ability to close the porthole and create a watertight seal that kept stormy weather out. Elegantly designed with a sophisticated style, these brilliant porthole mirrors make the prefect gift for a sailor, a nautical enthusiast, or simply someone looking for a fine handcrafted mirror. From our porthole mirror collection, these nautical porthole mirrors bring the classic ship style into your home with a sleek, contemporary feel. Give one of these porthole mirrors to a ship’s captain to place in the bridge, or perhaps to one of your family for a wonderful room decoration. The dazzling nautical style of these porthole mirrors, and their sleek construction, make them a perfect gift for anyone.